I went to Texas, y’all! I was on my own this time but on a mission to find the best restaurants in San Antonio. Discover America reached out to me to participate in an Instagram program, sending me to Texas for 5 days to share what I ate on Instagram. I hit San Antonio first and ate for 48 hours straight at some of the best restaurants in San Antonio. I liked the city so much I created a downloadable PDF with my favourite finds. Sad as it may be, my only reference for San Antonio was an obscure reference to the Alamo and the recent appearance on the Bachelorette (shh don’t tell anyone). But so many people told me that they adored San Antonio. Sixty percent of the population is Hispanic, which I loved because you can see the influence everywhere from the food to the decor. What captured my heart was the Southern hospitality, everyone is so nice, friendly and polite. One of the nicest, most innovative chefs, Chef Johnny Hernandez is a restaurant mogul with 5 brands in the city and having just launched in Las Vegas. Much attention is given to sister restaurant La Gloria, El Machito shouldn’t be overlooked as Chef Hernandez designed his own crazy grill to serve mesquite-grilled meats alongside traditional Mexican dishes. He designed the interior himself sourced from artisans and families in Mexico. He’s definitely a chef crush. 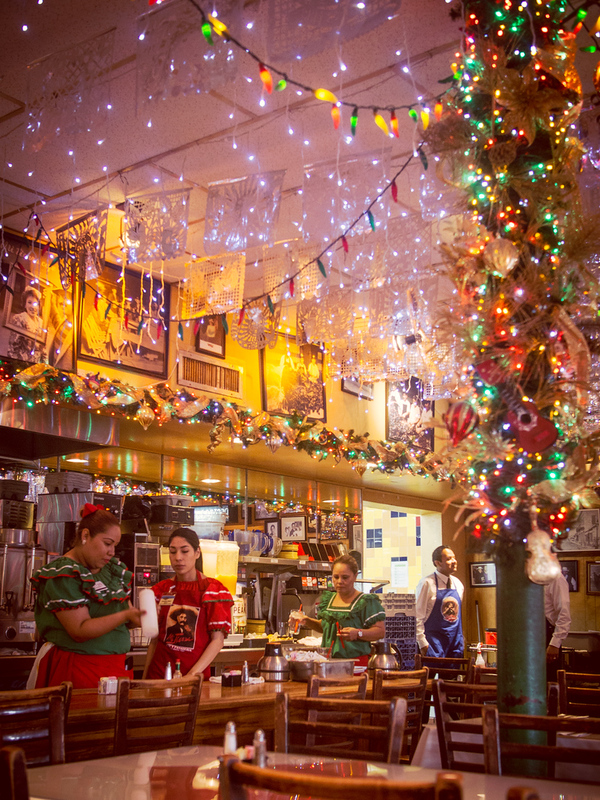 Anyone who’s been to San Antonio will tell you to go to Mi Tierra. It’s like a loco Mexican diner complete with a Mariachi band. Food is good but you come for the experience. Located in Historic Market Square you’ll see lots of tourists because it’s famous but it’s also 24 hours and the best bet for late night eats. The Pearl district (or Pearl as locals refer to it) deserves its own day of sightseeing. Start downtown and take the River Walk to Pearl. Located on the ground floor of a historic brewery, Southerleigh is one of the new gorgeous restaurants in Pearl with its own on-premise brewery. Led by Chef Jeff Balfour, the food represents a modern interpretation of the diversity of Texas and coastal Texan fare. If you’re from away like me, you’ll find all the Southern comfort classics and incredible craft beer. 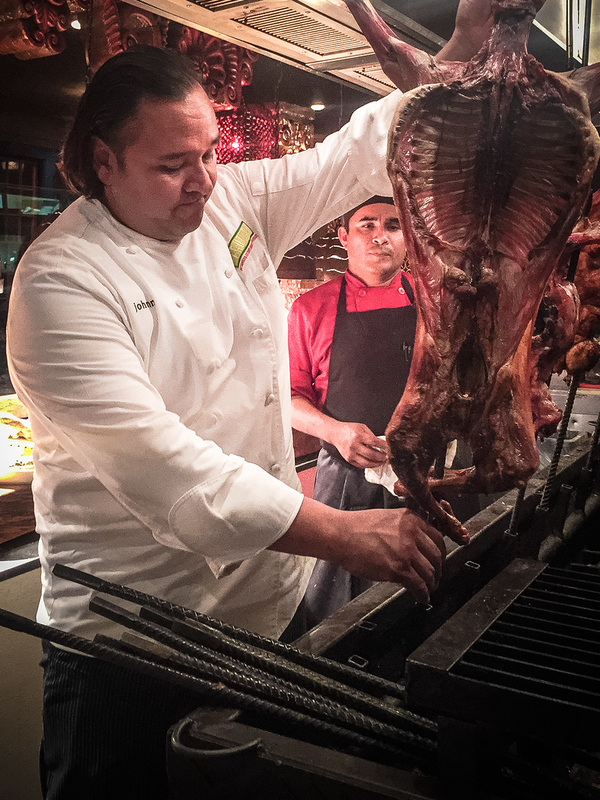 Chef/owner Steve McHugh is originally from Wisconsin but arrived in San Antonio to open John Besh’s Luke and left to open Cured when the Pearl district of the city began to redevelop. A charcuterie focused menu with an emphasis on local and whole-animal cooking, it’s located in a beautiful restored historical building. 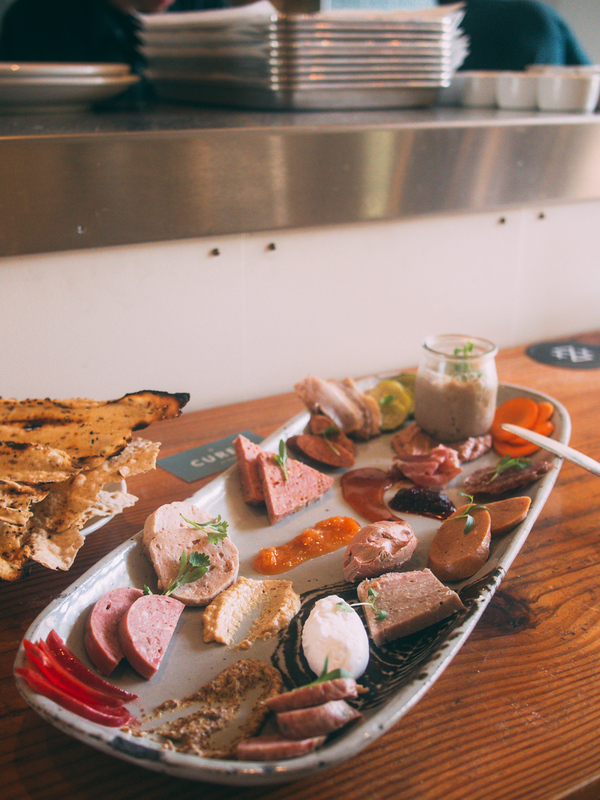 Go for lunch and splurge on the charcuterie board as you’ll want one of everything. If you need a break Bakery Lorraine has great coffee, Mexican sodas and is known for its French pastries. My macarons were a bit soggy but nonetheless delicious. It’s a great cafe to take a load off, connect to wifi and plan the rest of your day. Revived in 1997 Alamo Beer Co. is the place to be Sunday afternoon as groups of friends, couples and families gather here to listen to music and drink local craft beer. For “beer pansies” or hops-fearing drinkers like me, the Alamo Golden Ale, is a lighter style ale perfect for sunny days. For craft-beer fanatics there are also more serious options like the Pilsner and German Pale Ale. Technically there is no food at the Alamo but food trucks park outside. One of the new taco joints was also one of my favourites. 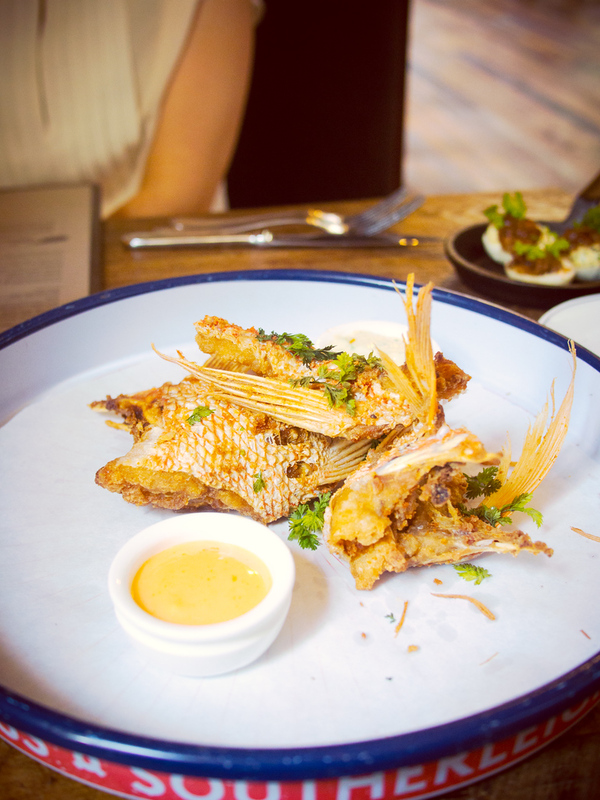 A pair of local chefs left the city for a while and returned to launch this cantina. While they have crazy items like goat pop tarts, I really loved the pickled vegetables on the regular tacos. It’s only a short walk from the Alamo Brewing Co. and I had a great afternoon visiting them both. 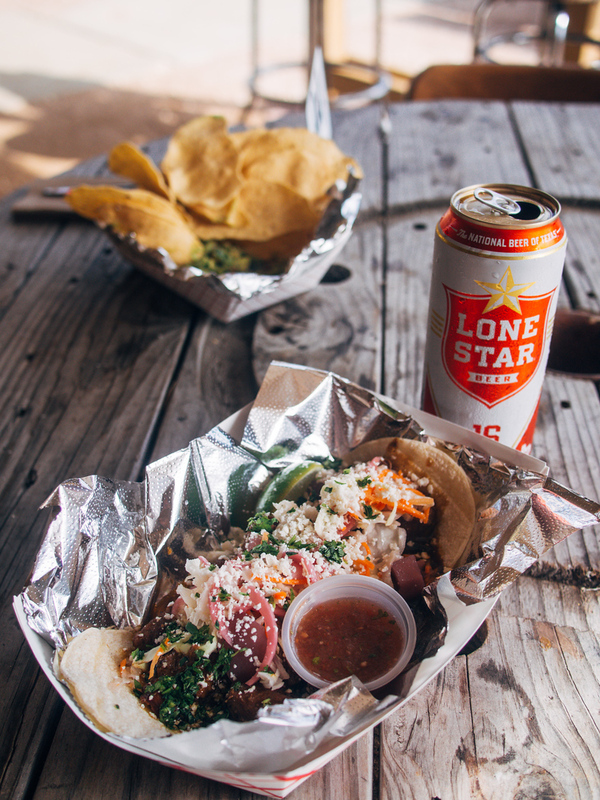 While many cities have tacos, San Antonio is home to the breakfast taco. 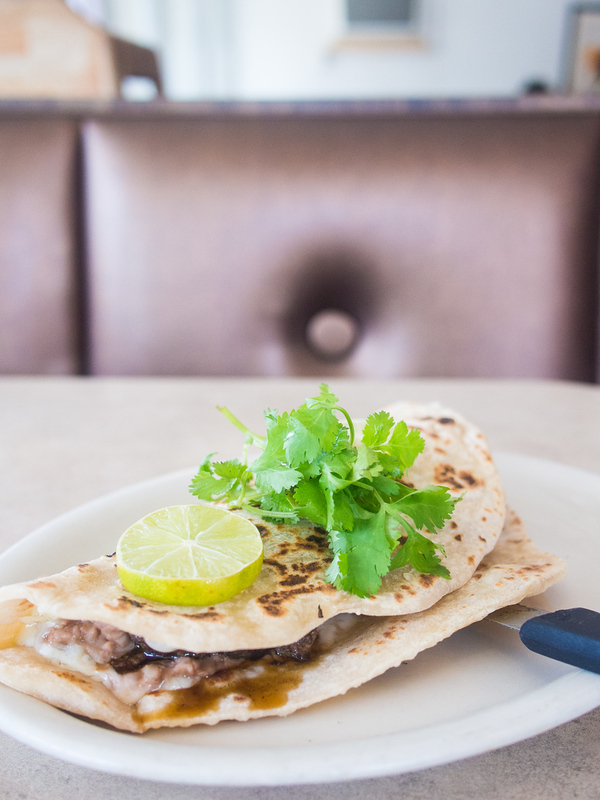 The most famous here is the Taco Norteño, stuffed with beans, cheese, avocado, and grilled beef or chicken. It’s also gigantic. Taco Taco Cafe has been lauded by everyone from bon appetit magazine to Rachael Ray. I wouldn’t call it the best but it’s very tasty and the staff here are so polite and friendly it’s worth a visit. For taco pilgrims, Rolando’s not too far from Taco Taco so plan to hit both for breakfast or lunch (they both close at 3pm). 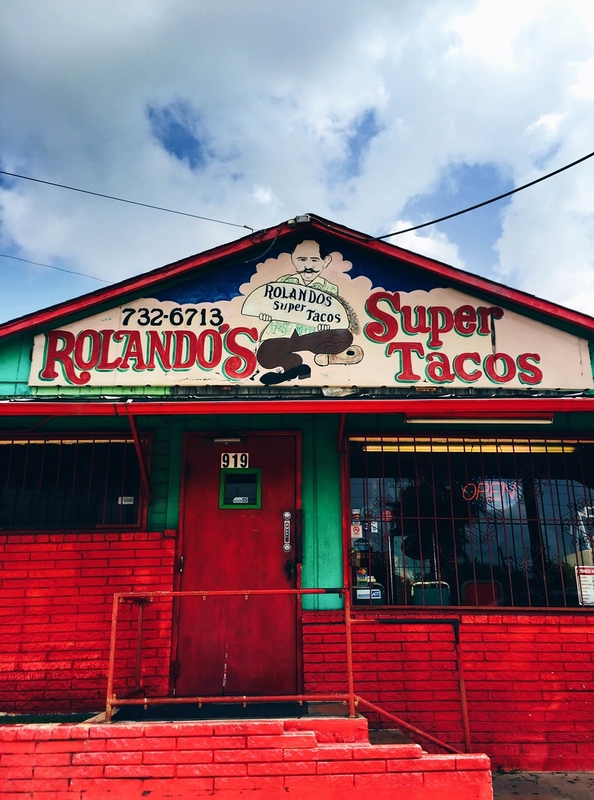 Rolando’s claims to have the best tacos in town, you must try the puffy taco, which originated in San Antonio, corn or flour tortillas are deep-fried until they puffy and then topped with filling. There’s only so much time to check out the best restaurants in San Antonio and I couldn’t eat at all the San Antonio taco joints out but these come recommended by people I trust. Puffy tacos: Ray’s Drive In, Los Barrios, Teka Molino. Tacos: The Original Donut Shop (separate drive thru for tacos and donuts! ), Tito’s, Rosa’s. Also started as a pop-up, Hot Joy has a menu of extreme eats inspired by Asian cuisine, by a chef who’s proclaims he’s never been to Asia. That admission opens up a new world of interpretation like tater tot chaat or ramen with toasted guajillo miso. Book in advance! Only 12 guests per night, 10 courses, with free wine and beer pairings, use modern techniques with indigenous ingredients. 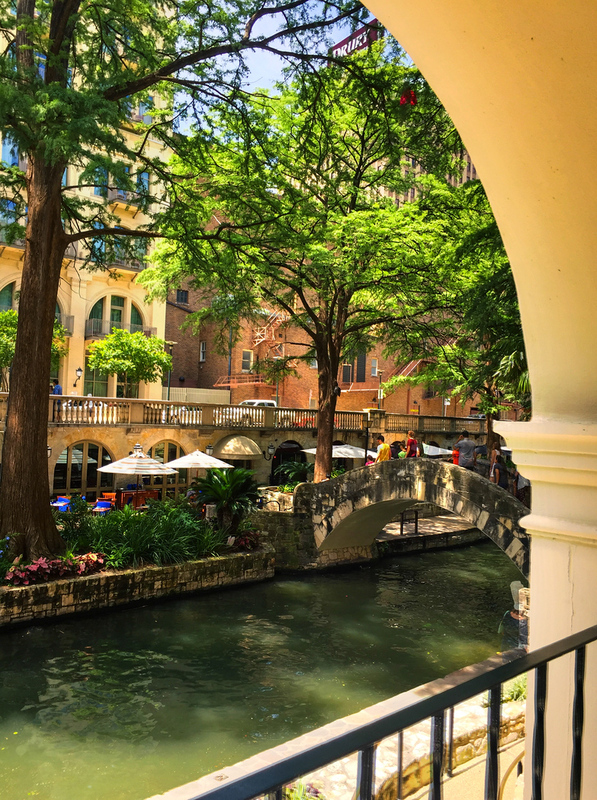 You cannot miss the River Walk in San Antonio, a long walkway beside the river dotted with businesses and attractions beside the river. Many things are easily walkable but it can get hot. As the river is below street level it is significantly cooler so walk along it when possible and be sure to bring water and lots of sunscreen. If you’d prefer not to walk there are River Walk boat tours as well as the Rio Taxi Boat with 39 stops, a ride is $5 but a 24-hour pass is a bargain at $10. I stayed at the Omni La Maison del Rio. 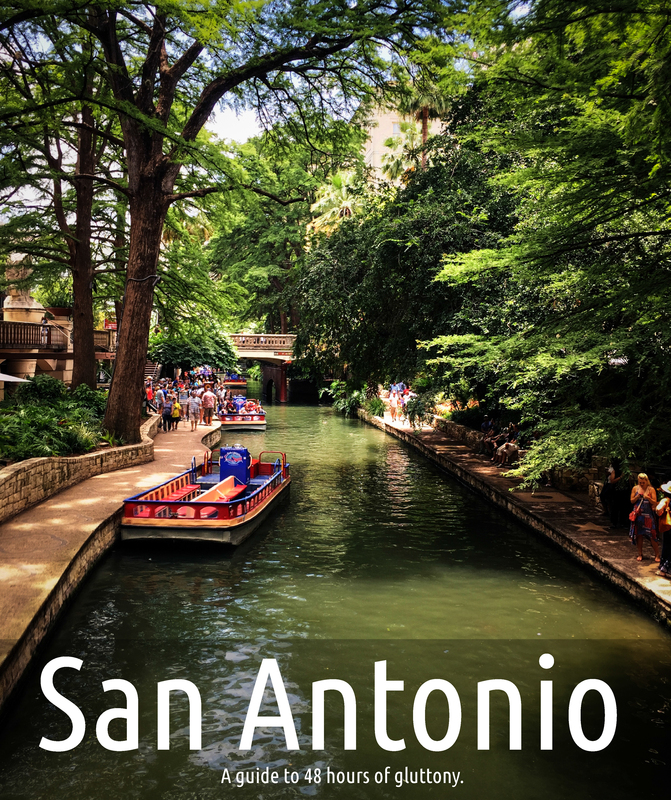 One of the Historic Hotels of America, it is located overlooking the river walk so you get a great view and are only a short walking distance to everything. 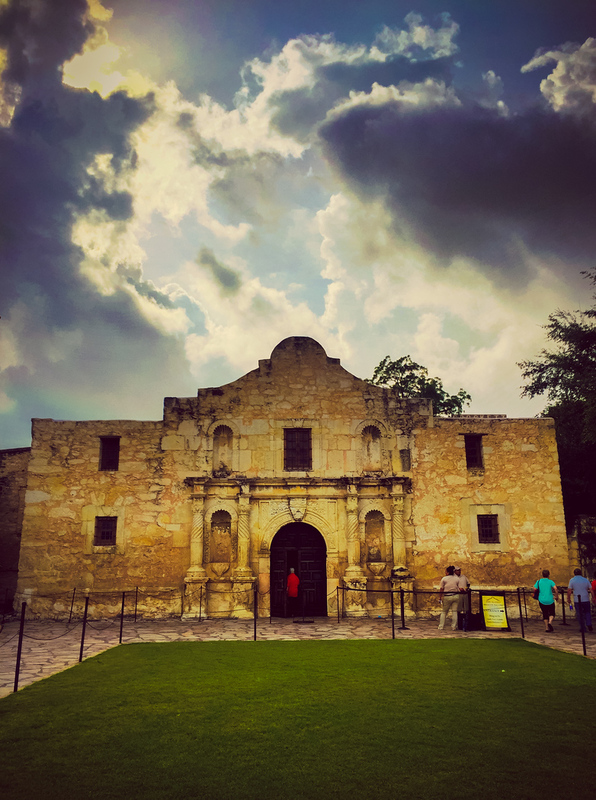 Considered to be the shrine to liberty in Texas, San Antonio de Valero, also known as the Alamo, is much smaller than you would expect. It’s also right downtown, which makes it easy to visit. Free for visitors, there’s an interesting exhibit explaining its history and importance in the turn of Spanish and American empires. Once a mission, it’s now vying to become a UNESCO heritage site along with San Antonio’s four other Franciscan missions. If successful, it will be the first World Heritage site in Texas and the 22nd UNESCO heritage site in the United States. 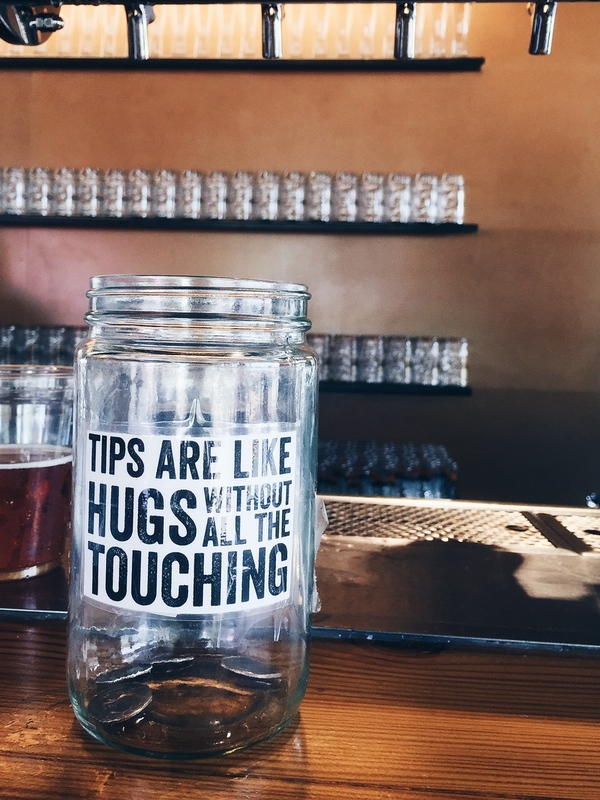 What best restaurants in San Antonio did I miss? Where should I go next time? Let me know because I definitely want to return to San Antonio. Your pictures are so colourful and sharp. I feel the need to run out and find a taco truck! You missed the great Southern food and the great barbecue. Alamo Cafe has excellent chicken fried steaks. I’m not sure about the best barbeque. 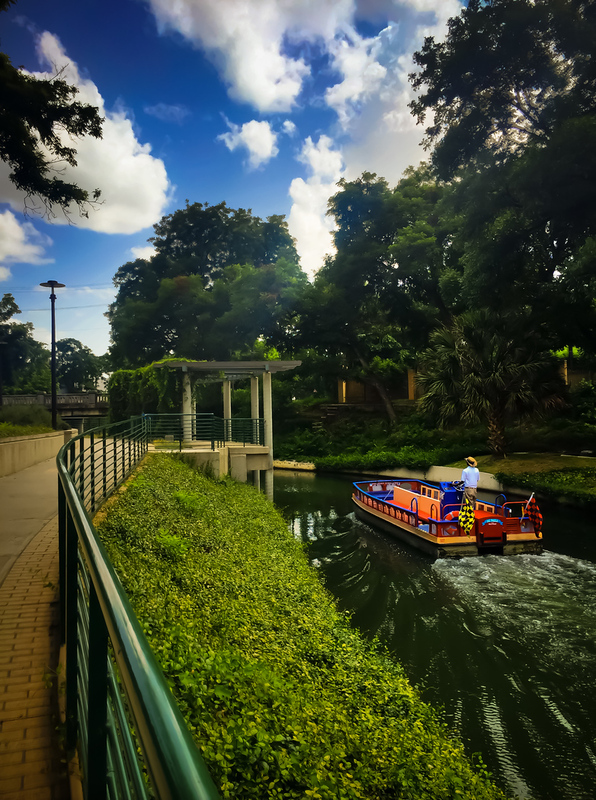 City Market in Luling (about an hour away) is renowned for its barbeque, but I’m sure you can find some excellent barbeque in S. A.
Yum, and I’d have no problem walking the calories off afterwards when I see how pretty the city looks! 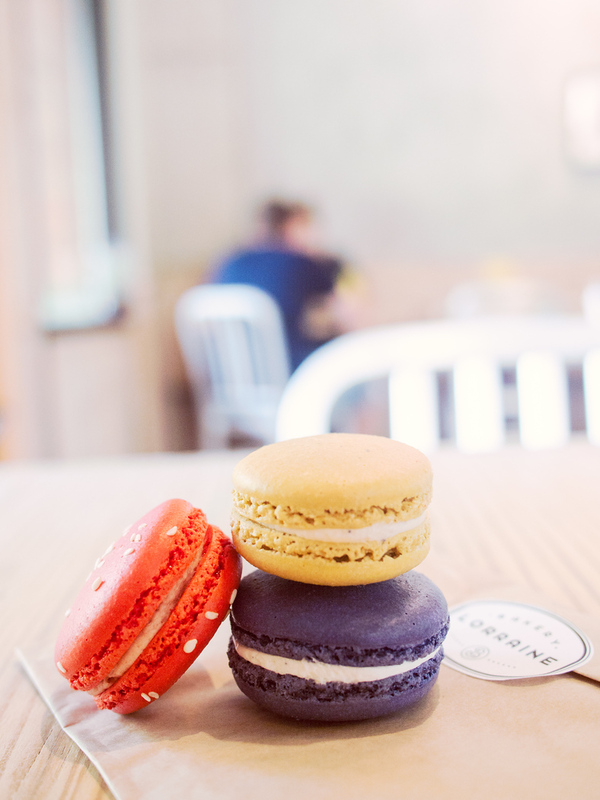 Great post i love all this food especially the macarons t delicious!! 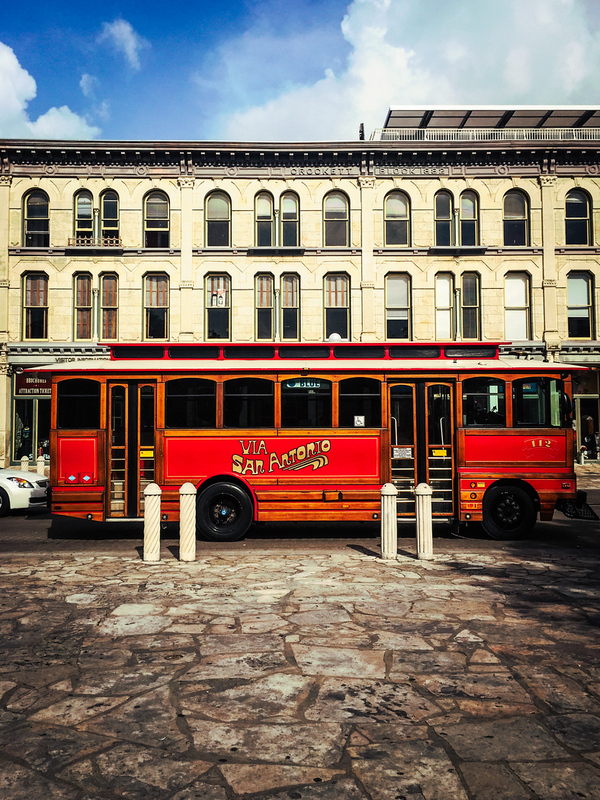 Some great tips and lovely photos – San Antonio is now on the wish list! Great recommendations in San Antonio. Your pictures are lovely well done. You chose some great eats, especially Cured. The fact that you missed Hot Joy is no great loss. Their food is atrocious. Like some drunk college guy turned wannabe chef puts onions and barbecue sauce in a package of Maruchan ramen and calls it gourmet yakisoba (an actual menu item on my visit) levels of terrible. I loved it. Professional chef meets professional eater 🙂 Hope to see some Turkish cuisine recipes as well. I really enjoyed reading your post especially the pictures. Coming from a country who has a gastronomic culture, things like this is a must when traveling abroad. We always look forward to trying delectable foods! My name is Alexander. Actually i am planning a trip to SAN ANTONIO. From your blog i got an idea about the restaurants there. Thank you for sharing this information with us. That’s awesome news, let me know what you think! I am i am planning a trip to SAN ANTONIO the blog have lot of travel information. Every food featured here in San Antonio is mouth watering! I think I need to buy some tacos for now! !